What You Will Hear: Synthesizer, Vegas big band mixed with a 70’s P.I. soundscape. Featuring keyboards, guitars, and the drum set mixed (appropriately) high. Will You Be Humming Along? Each track has a catchy hook, but no unifying theme exists. Deborah Ocean’s theme is particularly catchy (especially when that bari sax joins in). I appreciate the use of an acoustic upright bass on a lot of the cues. It really helps to ground the synthesizer. The Fugue in D minor was a distraction. Not sure it really fits in with the album experience. Hope it works on screen. People had a lot of fun recording this, and I hate them for not inviting me. Will I Come Back To It? When I’m in the mood for this type of groove, Ocean’s 8 will be one of my first stops. I never spent much time with the three original scores because it all tended to blend into itself. Pemberton’s take on the this franchise keeps things interesting with that Latin touch, and unpredictable instrumentation (in a very predictable setting). This version is just more fun, but as hip as it needs to be. 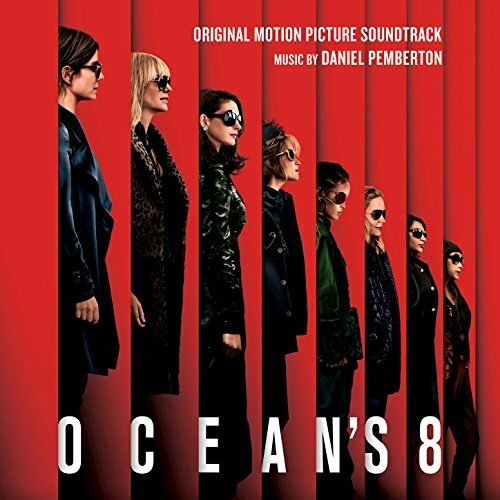 Ocean's 8 was provided courtesy of The Krakower Group and Water Tower Music. Thank you!